Holy moly! Last week I grabbed my party-loving friend Lauren and made the short trek up the 5 to an incredible party about parties thrown by insanely talented party girls. (Can I use the word party a bit more?) 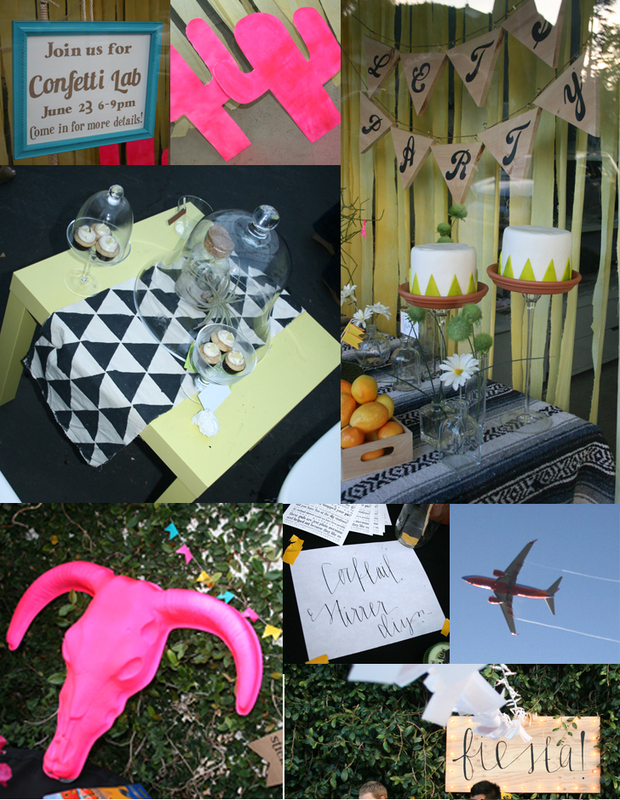 I was blown away by the sheer genius in the details of this shindig. And who is the genius I am speaking of? 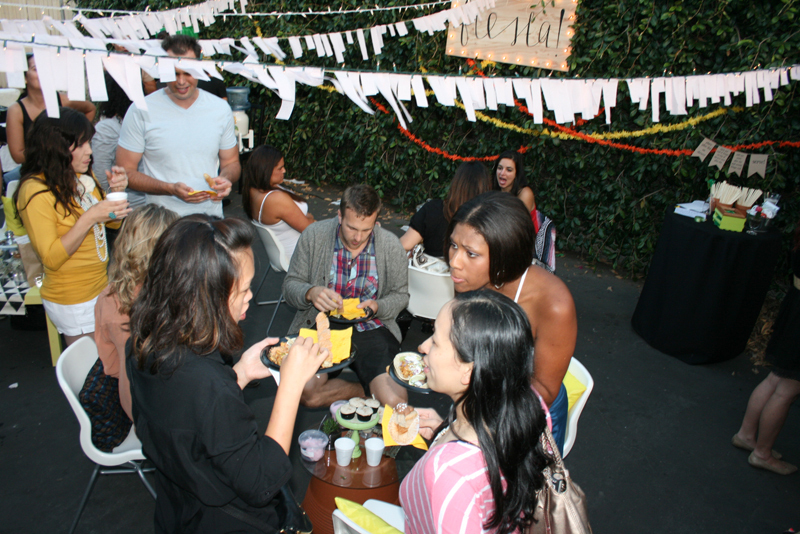 Another crafty gal named Lauren of A Fabulous Fete. My eyeballs were spinning from the details. And holy smokes I want to make her handwriting into a font. 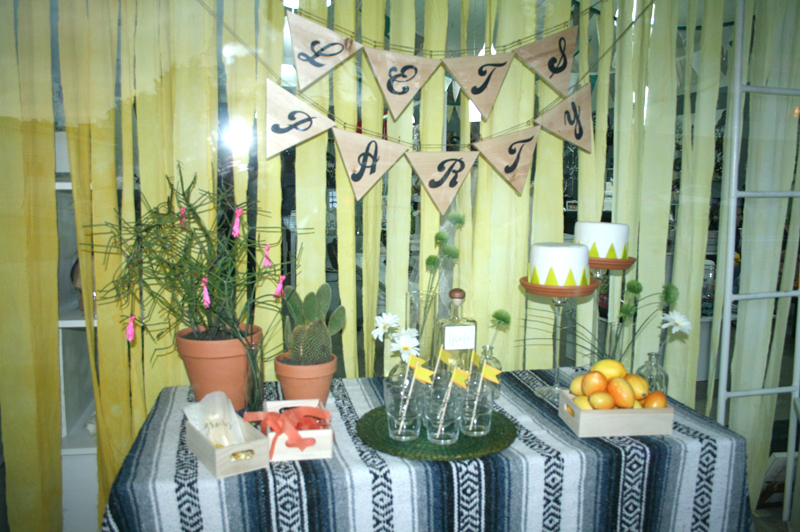 There was a cool southwestern/deserty vibe to the party. I adored how she invited Hot Pink to the party. Hot Pink needs to get more invitations in my opinion. 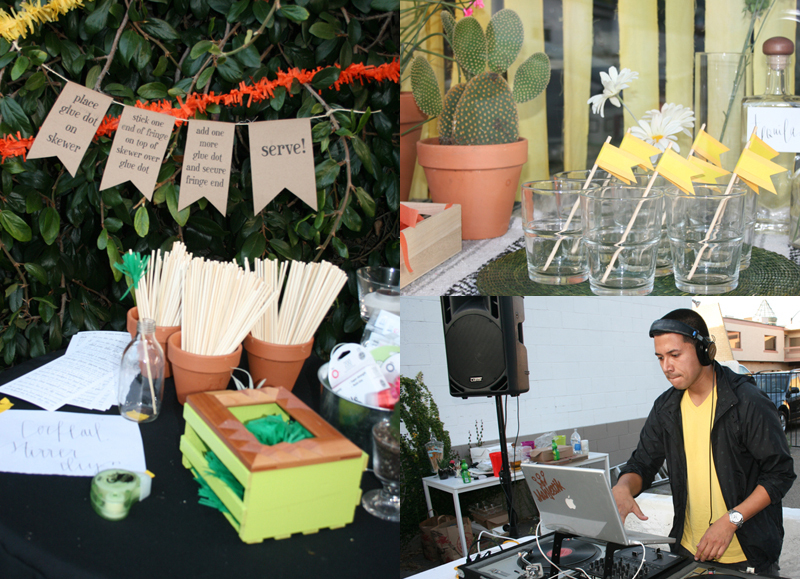 Lauren spray-painted that cow skull & the cardboard cacti in the windows and it gave the party such a fun kick. The best use? The tassels on the cactus in the window display. A total subtle but funky touch! I’m mean, this is when creativity is just in your blood. 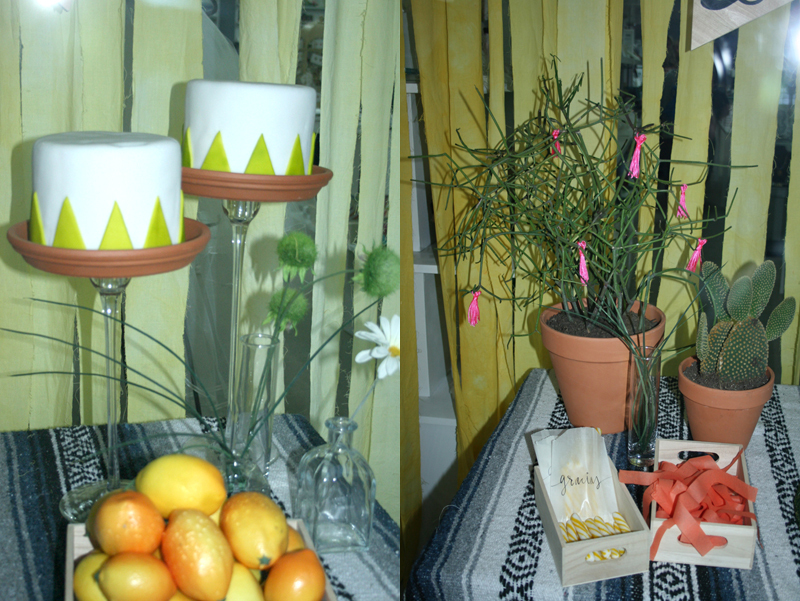 I am also loving those cakes in the window – and am dying over how she used terra cotta bases for them. Total desert dessert. Looooooove! Look at her writing! Fiesta! I love how organic and handmade – but professional – everything looked. 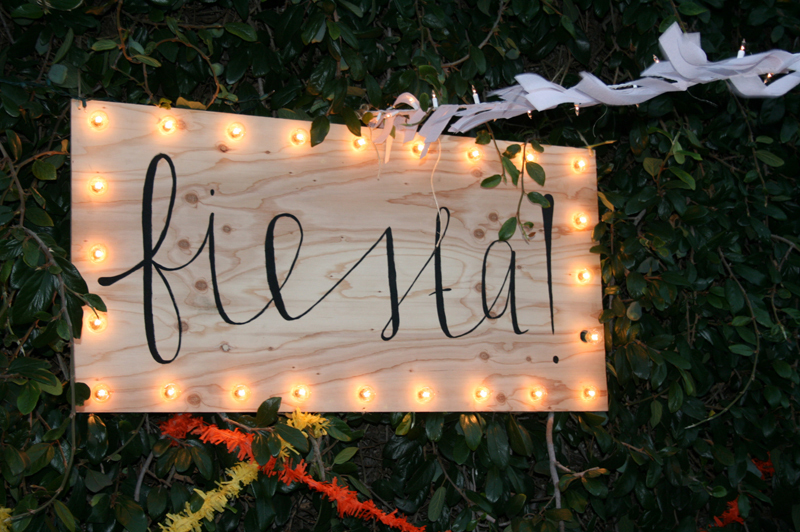 Crepe paper streamers led to this awesome sign and set the tone for the party. 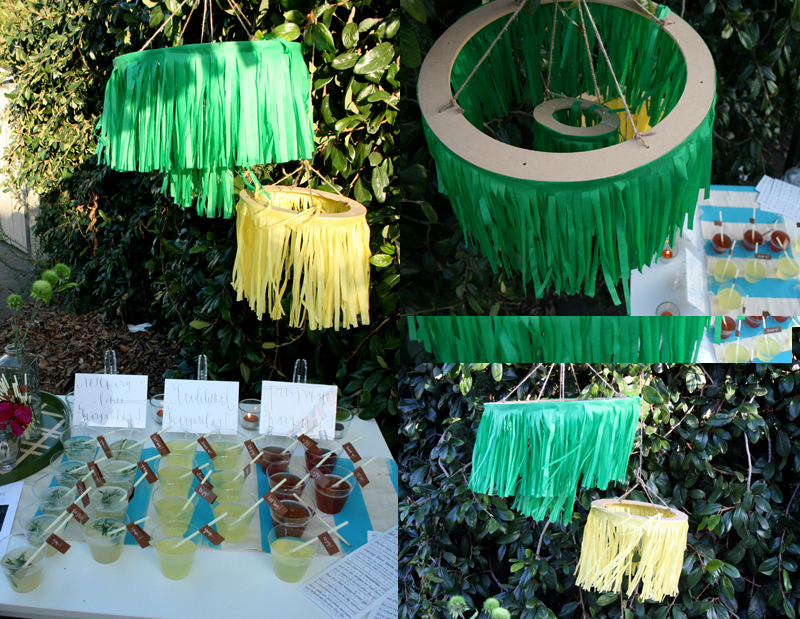 I am also totally loving these fringe ‘chandeliers.’ Wood + rope + tissue paper = Happy Annika. Loved this so much! Lauren will be sharing the recipes for these margaritas on her blog sometime soon and you won’t want to miss it. 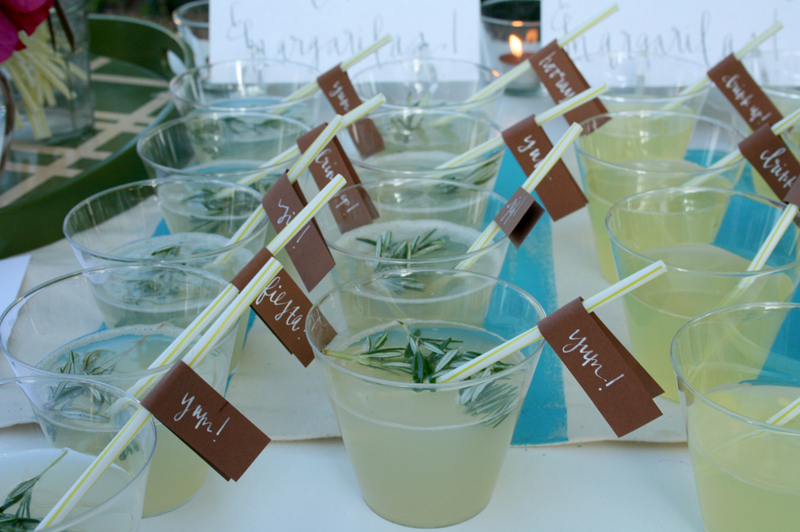 I had a rosemary lemon margi and could have had 8 more. (I didn’t! I swear! But I wanted to!) What a tasty combo. 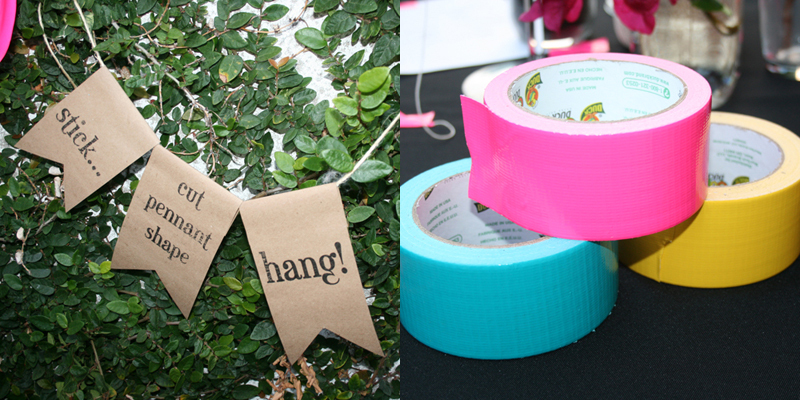 She also set up Tutorial Stations around the party so you could learn how to make things like drink stirrers and tape bunting. So easy and clever. I think I am going to host a girl’s craft night soon just to make some of these fun projects. The DJ was phenomenal. I honestly want to hire him to spin in my living room while I work during naptime. (Though I’d probably be dancing and not working!) So good! Below was the only photo I snapped with peeps in it. I am kicking myself for not getting a pic of the ladies who put this party on or some of the other blogging gals that were there! Believe it or not, I am totally shy and should have just said “Hey gals! Let’s grab a snap!” Oh well! Next time I’ll put my brave girl pants on. Anyway, what a kick-cactus party! I’m so inspired and if you’d like to see how creativity is done right, click on all of the links below. I am bowing down to these party peeps!